The 22nd June 2012 episode of Friday Night SmackDown! starts with Teddy Long making his way out onto the stage, where he happily informs us that John Laurinaitis has been fired and that the General Manager for this episode of SmackDown! is Mick Foley. Long starts to say more, but he is interrupted by The Big Show’s music hitting and him making his way to the ring and talking about how he doesn’t care about John Laurinaitis or the fans, and that the only person that he cares about is himself. He clarifies that in that he means the real him, and he congratulates John Cena on winning their match at No Way Out (click here for our No Way Out report) with the help of five others, but he says that in a fair one-on-one fight, he would crush Cena. Show says that he doesn’t care about Cena any more and is throwing his hat into the Money In The Bank match, and that like there are no men who can stop him from winning Money In The Bank, there is no champion that can stop him. He says that when he becomes the WWE Champion, he will be the champion for as long as he wants to be, because winning the WWE Championship is not for the guys in the locker room, the WWE, or the fans, but instead he is winning it for himself. Brodus Clay’s music hits and he makes his way to the ring with Naomi and Cameron, looking very serious as he makes a bee-line for Show, and he starts to attack Show until David Otunga interrupts by targeting Clay’s leg, which allows Show to target Clay’s leg with some kicks, before he takes Clay out with the Weapon of Mass Destruction. The Big Show leaves, which leaves David Otunga to enter the ring, where he tells Clay to get up so that he can show him how it is done, as well as Cameron and Naomi when they refuse his invitation to join him in the ring. Otunga dances in the ring as Clay’s music plays. Next, Frank Venezia and Jared Wachtler take on Ryback in a 2-on-1 handicap match which sees Ryback get the victory, when he hits them with a double muscle-buster for the 3-count. After an interaction backstage involving Yoshi Tatsu, Mick Foley, and Vickie Guerrero, in which we find out that Vickie is going to be the General Manager of Raw and SmackDown! next week, and a video recapping the match between Marty Jannetty and Shawn Michaels on the 17th May 1993 episode of Monday Night Raw, to hype the upcoming 1000th episode, Alberto Del Rio is pitted against Christian. The match sees Del Rio get the victory, when he takes advantage of the distraction provided by Christian by knocking Christian off the turnbuckle with an enzuigiri, and following it up with the cross-armbreaker, forcing Christian to tap out. 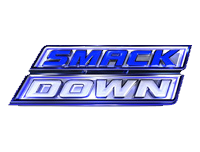 Afterwards, Cody Rhodes makes his way to the ring and attacks Christian, with Rhodes yelling at Christian that he is stealing his time and that Rhodes is SmackDown!. After a video recapping the events involving CM Punk, Kane, Daniel Bryan and AJ over the past few weeks, AJ joins ringside as the Special Guest Timekeeper as Kane goes against Daniel Bryan in a match which sees Kane get the victory, when Kane takes advantage of Bryan’s confusion from AJ ringing the bell while Kane was in the Yes Lock but hadn’t tapped out, and hits Bryan with a chokeslam for the 3-count. Now, Mick Foley makes his way to the ring and thanks the crowd for the response, John Laurinaitis being so lame, and he gets in a cheap pop at being right there in Baltimore, MD, USA. Before he can say anything more however, Heath Slater’s music hits and he makes his way to the ring. Slater says that he came out to lead a little protest, as he says that he was embarrassed on Monday Night Raw by “Rowdy” Roddy Piper and Cyndi Lauper (click here for our Raw report), and he wants Foley to do something about it. Foley says that Cyndi is a very formidable competitor, so Slater has nothing to be embarrassed about, but as for this episode of SmackDown!, his opponent may give him something to be embarrassed about – his opponent is quickly revealed as “Long Island Iced Z” Zack Ryder. Mick Foley watches on from ringside as Heath Slater takes on Zack Ryder in a match which sees Ryder get the victory, when he hits Slater with the Rough-Ryder for the 3-count. Afterwards, Foley joins Ryder in the ring and they celebrate with fist pumps for the crowd. After an interaction backstage involving Mick Foley, Zack Ryder, and Damien Sandow, and a video recapping the events of the match at No Way Out to determine the Number One Contenders to the WWE Tag Team Championship, The Usos are pitted against Darren Young and Titus O’Neil (accompanied by AW) in a tag team match which sees O’Neil get the victory for his team, when he and Young takes advantage of AW’s distraction, and O’Neil hits Jimmy Uso with a lifting sit-out spinebuster for the 3-count. After a confrontation backstage involving Primo and Epico and Darren Young and Titus O’Neil, which leads them to being separated by referees, Santino Marella makes his way to the ring and says that it is his great honour to celebrate the craftsmanship of the best signs in the crowd. When he spots one that says “I love Santino”, he invites the person who apparently made the sign to the ring (and seems surprised that she actually is coming). The overexcited “fan” ends up getting lipstick all around Marella’s mouth, and it leaves him on the mat, unmoving from the experience. After a video recapping the events involving Vince McMahon, Stone Cold Steve Austin, and Mick Foley with the birth of “Mr. Socko” on the 5th October 1998 episode of Monday Night Raw, to hype the upcoming 1000th episode, Dolph Ziggler (accompanied by Vickie Guerrero) goes against Sheamus in a match which sees Sheamus get the victory, when he hits Ziggler with the Brogue Kick for the 3-count. Sheamus celebrates at ringside with the fans, as SmackDown! goes off the air.